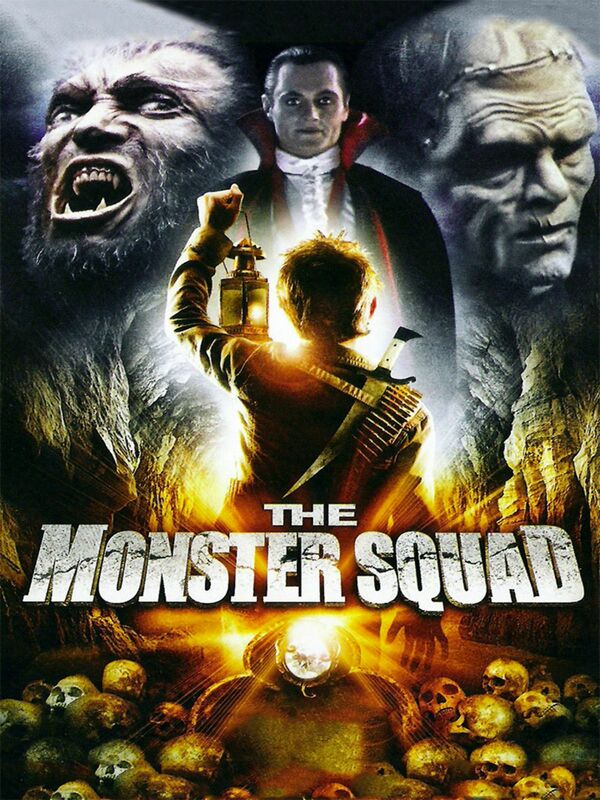 The Monster Squad, a 1987 film that pays loving homage to the classic Universal Studios monsters, while altering their designs just enough to avoid infringing on any copyrights. Directed by Fred Dekker, who co-wrote the script with Shane Black, it landed with a thud as the 1987 summer movie season drew to a close, but it picked up a cult following as the kids who missed its two-week theatrical run caught up with it on VHS. Set largely in a quintessential all-American town — large portions of the movie were filmed on the same Warner Bros. backlot that was used for Gremlins, Gilmore Girls, and countless other productions — it’s the story of some monster-loving kids who come to suspect that real monsters have come to visit. And, it turns out they’re right. A gang of creatures including Count Dracula (Duncan Regehr) Frankenstein’s Monster (Tom Noonan), a werewolf (Jonathan Gries), a mummy, and a gill-man have all taken up residence as part of a plan to plunge the world into eternal darkness. Because The Predator opens in theaters this week. The latest entry in a film franchise that began with John McTiernan’s Predator in 1987, The Predator returns the series to Earth after 2010’s Predators. The new film kicks off with a deadly encounter for Army Ranger Quinn McKenna (Boyd Holbrook), who’s on a clandestine mission when he suddenly faces an extraterrestrial foe. As part of the subsequent cover-up, Quinn is locked up with a ragtag bunch of military misfits. Meanwhile, some Predator equipment he mailed back home finds its way into the hands of his son Rory (Room’s Jacob Tremblay), who’s able to crack its code, drawing a second, even more deadly Predator to his small town. Directed by Black from a script he co-wrote with Dekker, the 2018 film is both a Predator homecoming for Black, who had a role in the original movie and contributed to its script, and a reunion project for the Monster Squad collaborators. It also sometimes feels like they had their earlier film in mind when making this one. Rory, a young boy on the autistic spectrum, is bullied by his classmates in an early scene, much like an overweight Monster Squad member is in Black’s 1987 film. (Like his Monster Squad analog, Rory gets a satisfying moment of revenge.) The film’s second act features Predators (and some Predator Dogs) running amok in a picturesque small town. Three decades later, Dekker and Black clearly still love using big, scary creations to wreak havoc on sleepy little places that never see it coming. The 2018 Predator is a step back to Black’s past in other ways as well. As a biologist called in to study a captured Predator, Olivia Munn gets some clever exchanges about why the word “predator” doesn’t really describe their behavior; she likens them more to sport hunters or bass fishermen. But The Predator is otherwise short on the witty dialogue and clever plotting that’s become Black’s trademark, especially during the film’s chaotic finale. It does, however, feature rampaging monsters, gunfire, and explosions, all trademarks of the Predator franchise, which might be an okay trade-off for fans of the series. Fans of Spielbergian 1980s kids’ movies, and audiences who admire monsters. Like Dekker’s previous directorial effort, Night of the Creeps, The Monster Squad is a devoted homage to the films he grew up loving. These films are like highly polished fan fiction from a creator who clearly never let his Famous Monsters of Filmland subscription lapse. At times, it plays like a prototype for Stranger Things, shot in a style heavily indebted to Spielberg and filled with homages to its source material. Apart from some depressingly de rigueur homophobic 1980s dialogue, the film is charming, especially during a middle section in which Noonan’s monster slips loose of Dracula’s commands and just starts hanging out with the kids because they’re much nicer to him. Monster Squad is available on Amazon Prime and Hulu.